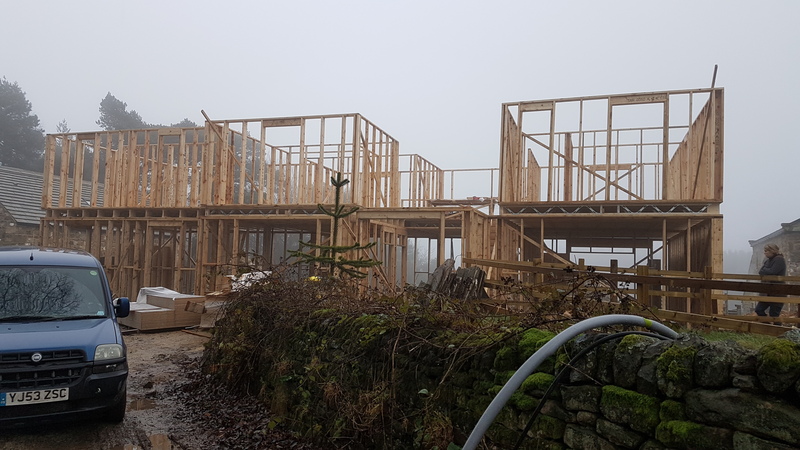 Works on a replacement dwelling located in the Nidderdale Area of Outstanding Natural Beauty have commenced. The timber frame is going up and will soon be overboarded to provide weather protection before the insulation commences. The house will benefit from extremely high levels of insulation to minimise the demand for heating. Large triple glazed windows will maximise natural heat gains and make the best of the stunning views from the site.